What canons are there in the Church? What do they govern? Do canons restrict people’s freedom or do they help people to exercise their freedom? Why do those hair-splitting formalities even exist in the Church? Is it impossible to get saved without them? 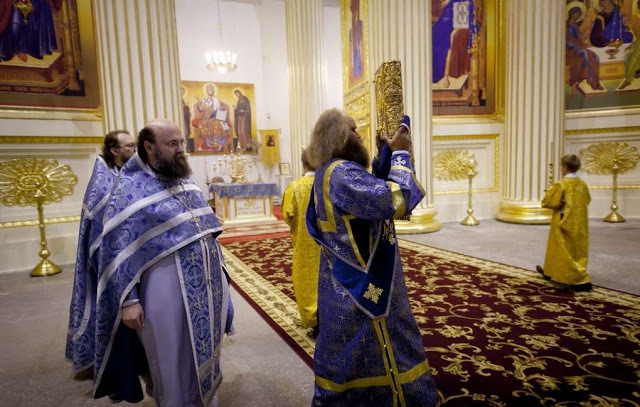 FOMA Magazine asked Archpriest Demetrius Pashkov, who is a professor in the Department of World and Russian Church History and Canon Law of the Orthodox Saint Tikhon Humanities University, about all these questions. How do you define church canons and what are they for? The word ‘canon’ in Greek literally means ‘a rule’ or ‘standard.’ Canons are the generally accepted codes of conduct in the Church. That is why canons are to the Church what laws are to the country. Generally, it is clear that church canons are necessary. We have to comply with a definite set of rules adopted by a certain community if we want to belong to that community. The Church is no exception. 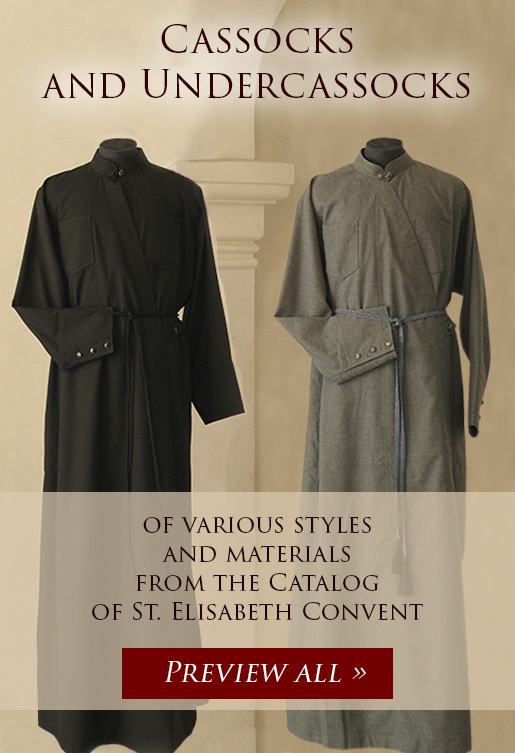 If you become a member of the Church, you’ve got to comply with Her ordinances, the canons. We can use the following analogy. When we stay in hospital, there are some rules, which we have to comply with whether we like it or not. The hospital rules may initially seem excessive or even absurd until we consider them carefully. With that said, there must not be any pedantry in the Church. Everyone is different, which is why one’s spiritual father plays a significant role in one’s church life. Aware of the spiritual child’s weak and strong points, the priest can act quite freely within the limits described in the canon law. We should remember that the majority of the canons were adopted long ago, during the first millennium, so there are quite a few canons that cannot be applied nowadays. That is why each priest has a leeway in applying canons to the given situation (which is assumed in the canons, too: priests are expressly granted the right to curtail or prolong penances). It’s crucial when we speak of the difficult and extraordinarily sensitive sphere of pastoral guidance. Is it possible to get saved without all those formalities? No, the emphasis here is not on the formalities but on ourselves. Due to the fact that we remain imperfect, lazy, and self-centered even after we’re baptized, we’ve got to adapt to the pious lifestyle that corresponds to our faith. Of course, our communication with God is not meant to be prescribed. 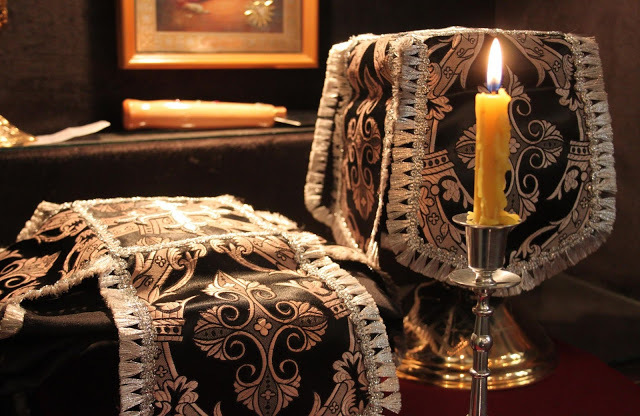 For instance, canons don’t dictate how you should pray at home: how long you pray, whether you light up a vigil lamp or not, whether you look at an icon or close your eyes, whether you sit or stand during prayer. It’s your own business and it depends on what suits you best. However, when a Christian joins other believers, he has to bear in mind that there are many people like him and each of them has their own views, interests, and preferences, and therefore he will hardly do without certain rules that can unite all that motley crowd into a real community. That is, generally binding regulations—the canons—are necessary to avoid chaos and disorder in the society where each of its members has certain rights and obligations. Aside from that, the canons serve to maintain the original modus vivendi of the Church, which appeared on the Pentecost Day, so that the Church remains the same in any country, culture, and political regime. 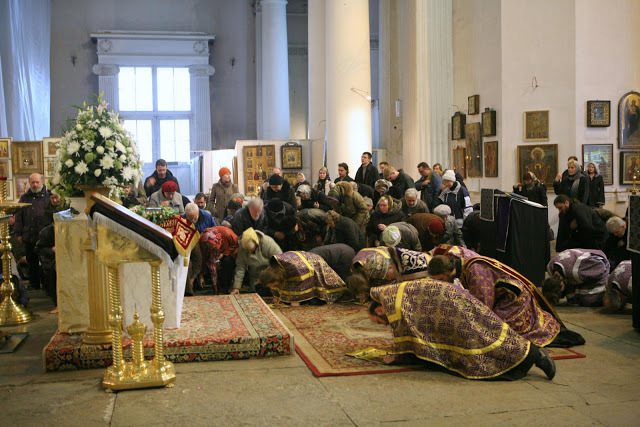 The Church is the same always and in all times: in the first century, in the age of Ecumenical Councils, in late Byzantium, in the Tsardom of Muscovy, and now. The canons protect this identity of the Church throughout the centuries. Did Jesus say anything in the Gospel about the need to follow certain rules? Yes, He did. There are some norms of Christian life that the Lord specifies in the Gospel. For example, there are canons that regulate the Sacrament of Baptism. It was Jesus Christ who established this rule in the Gospel, “Go ye therefore, and teach all nations, baptizing them in the name of the Father, and of the Son, and of the Holy Spirit: teaching them to observe all things whatsoever I have commanded you: and, lo, I am with you always, even unto the end of the world. Amen.” (Matthew 28:19–20). It is here that we find the baptismal formula “In the Name of the Father, and of the Son, and of the Holy Spirit”, which is uttered by a priest during the Sacrament today. Moreover, this passage says that we have to teach and then baptize, which is where preparatory meetings before baptism originate from. A priest or a catechist must explain to the person who wishes to join the Church the basic tenets of the Christian faith and piety in detail. In addition, it was our Lord Jesus Christ who established monogamy (See Matthew 19:4-9). It was on the basis of His words that the Church developed its teaching of the Sacrament of Matrimony. However, the Church reduced the rigidity of the Gospel where it says, “Whosoever shall put away his wife, except it be for fornication, and shall marry another, committeth adultery: and whoso marrieth her which is put away doth commit adultery” (Matthew 19:9). The Church condescends to human infirmity and understands that not everyone is able to carry the burden of staying alone. That is why the Church allows to re-marry twice, under certain conditions. However, there are other canons that aren’t taken directly from the New Testament. The Church is guided by the Holy Spirit and acts as the successor of Christ the Lawmaker, expanding, amending, and revising Her regulations. Again, this activity of the Church and Her legislative actions in general are based on the principles provided by the Holy Savior in the Gospel. What canons are there? What do they regulate? There are lots of church canons. They can be divided in several big sections. For instance, there are canons that regulate the management of the Church. There are “disciplinary” canons that regulate the life of the faithful and the ministry of the clergy. There are dogmatic canons that condemn certain heresies. There are canons that specify the territorial divisions within the Church, e.g., establish the rights of the top bishops—metropolitans and patriarchs—or determine how often councils at various levels must be convened, and so forth. All the canons were written during the first millennium of the Church history, and some of them are somewhat outdated. Nevertheless, the Church honors these ancient canons and studies them carefully because the unique age of Ecumenical Councils is the model for the future generations. Even if we don’t act according to those ancient rules directly, we still follow their spirit and basic guidelines to establish revised answers to the challenges of our times. If you break the law, you will be punished by the court of law. What about Church law? Does it determine any punishments for breaking the canons? Speaking of regulations that deal with church discipline and piety, the believers who break them are banned from their most essential right, i.e., the union with Christ through the Sacrament of Communion. It is not a punishment in the conventional sense but a therapeutic measure aimed at healing the person’s spiritual illness. However, there is a very important and meaningful caveat: the final decision belongs to the spiritual father or, on a higher level, to the ruling bishop of the diocese. Each case is reviewed on an individual basis and the decisions are made depending on the situation at hand. Therefore, church canons are more like remedies than laws. Laws are much more formal, and demand a strict separation of the legislative and the executive power. In this case, the law enforcer (a bishop or a priest) must act like a good doctor. A doctor won’t test new drugs on his patients if the prescribed drugs have already had a positive effect. If the treatment is unsuccessful, though, the doctor tries other remedies until the patient gets well. The patient’s recovery is the end result of successful treatment; likewise, from the point of view of the priest and the bishop, a believer’s sincere repentance must be the end result of his full recovery. This is precisely why church penances exist: they must attune the individual to repentance and improvement, foster his or her spiritual growth, stimulate the penitent’s change of attitude and remorse so that they could realize that the sin that they’ve committed prevents them from interacting with God and that they have to do something to restore the broken connection. Do church canons exist in writing? Are there books of canons? Sure. The Church started putting Her laws in writing in the late 4th century. It was at that time, soon after the persecution of Christians was over, that an enormous number of canons appeared and had to be systematized and sorted out. That was how first collections of canon law came to be. Some of them were organized chronologically, while others were arranged according to various subjects. There were collections of canon law called nomocanons (from the Greek “nomos”: an Emperor’s decree; and “canon”: a Church law), which appeared in the 6th century and combined Church canons with Emperors’ decrees related to the Church. There are the so-called Apostolic Canons. They are not derived directly from the disciples of Jesus Christ and must have received the name due to their special importance and authority. The Apostolic Canons were recorded in Syria in the 4th century. The most well-known collection of ancient canons is titled “The Book of Rules”. It contains the so-called Apostolic Canons, the canons adopted by Ecumenical Councils, the canons adopted by several Local Councils, as well as some authoritative legal opinions of the Holy Fathers pertaining to various issues of the Church life. Does a lay person need to know church regulations? In my opinion, yes, he does. If one knows church canons, he understands his rights and duties. Moreover, church canons are very helpful in everyday life. For instance, the life of a newborn baby is in imminent danger and therefore, the baby has to be baptized as soon as possible. Can his or her mother perform the Sacrament and if yes (by the way, yes is the correct answer), how does she do it properly? Or imagine that someone invited you to become their baby’s godparent. What does it mean and what does it entail if you agree? There are plenty of difficult questions related to the Sacrament of Matrimony, too. For example, can an Orthodox Christian marry a heterodox Christian or a non-Christian? What would you recommend a lay person to read about canon law? Where can one learn about his or her rights and obligations in the Church? 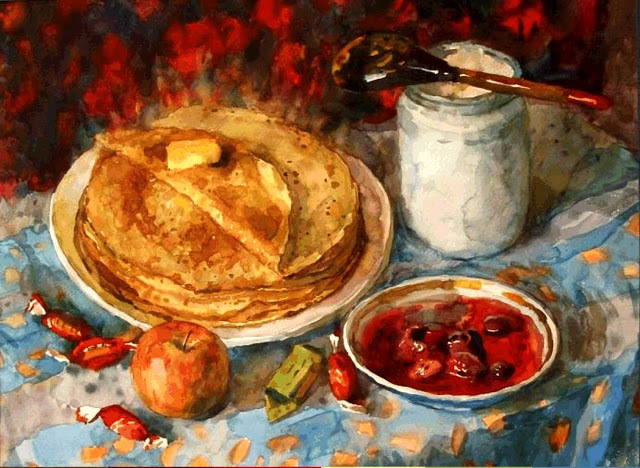 There is an excellent cycle of lectures on canon law by Archpriest Vladislav Tsypin, which has been published several times in the recent years. Speaking of the sources, I’d recommend everyone to study the aforementioned “Book of Rules”. 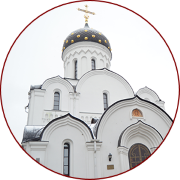 Contemporary laws and regulations of our Local Church (such as its Charter and some other documents) are published on its official website patriarchia.ru. 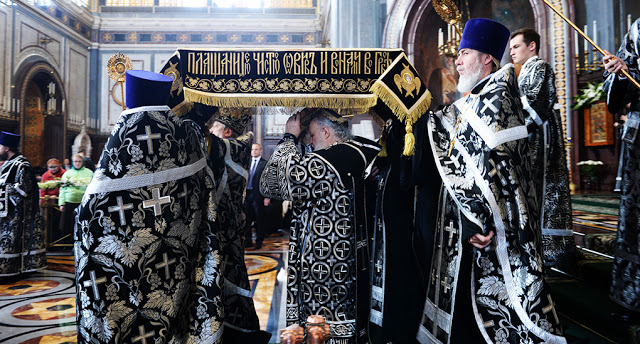 The Publishing House of the Moscow Patriarchate has undertaken the publication of a comprehensive multi-volume collection of decrees and other documents of the Russian Orthodox Church, which started five years ago.